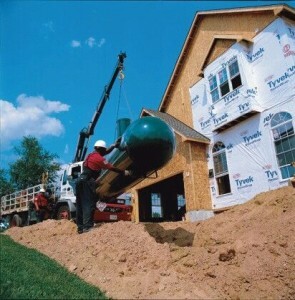 There are numerous benefits associated with underground propane tanks. They hold a lot of propane, keep energy flowing to your home, and they are generally kept out of sight and out of mind. Even though you don’t see your propane tank on a regular basis, it is still vital to take good care of it. Our technicians at Northwest Propane can help you take proper care of your underground tank through vigilance and professional maintenance. Though most of your tank is located underground, there will be a small portion visible above ground that can give you vital readings of the tank. Even though a leak will not generally cause too much harm, it is still important to be aware of any smells coming from your tank, as this can indicate a problem. If you check your tank regularly, try to take note of the propane levels and whether or not they are going down too fast. Underground propane tanks still need regular maintenance, but this should be carried out by a professional. Our Dallas propane technicians can help ensure that your tank is in buried properly, properly filled, and in good working order. You should always call on a professional before attempting to access the tank yourself. Proper maintenance means your tank should last for years. Even underground propane tanks need proper, professional maintenance. Our technicians at Northwest Propane are ready to help you take good care of your underground tank. Call us with any service questions at 972-247-6121.